No long speeches, preening egos, or empty promises allowed. Just a few people who wish to reflect on the meanings of events that began on a day exactly 25 years before. Each person will offer tobacco to a fire, share thoughts with the Creator. After everyone has done so, they’ll put the fire out and leave. That’s the way it’s been and will be this year, next year, and the one after that until the next confrontation provides new reasons to remember. The curtain pulled back that summer to reveal too many shabby people exercising power over life and death in order to preserve the status quo and white privilege. They came in all colours, political persuasions, uniforms and religions. They lied to us, to reporters, to Canadians all the while chanting “peace, order and good government.” But that was a convenient excuse to show who was boss. 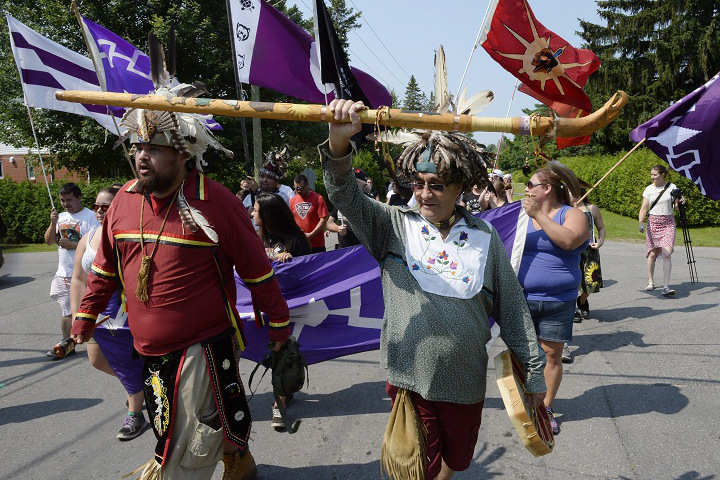 Despite pious claims to the contrary, the federal and provincial governments used the denial of food and medicines as a weapon to try to force Mohawk surrender. But that’s what I leave behind every sunrise on July 11, though I can never forget. The Pines and cemetery in Kanesatake. About a month ago, a group of friends came to visit. They put two items on the agenda: the Mohawk Cemetery and The Pines. I made a lousy “Oka Crisis” tour guide. To paraphrase another Mohawk from another time and another tragedy. My mother’s parents are buried mere yards from the clubhouse at the Oka Golf Club. 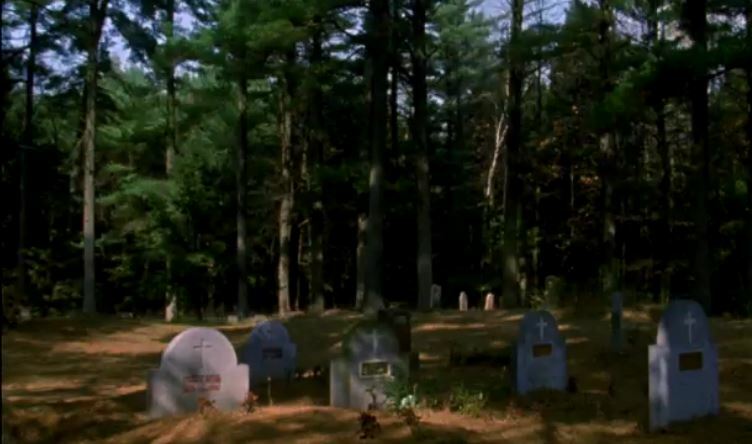 Oka wouldn’t bury Mohawks in their cemetery down the hill so, due to lack of space, graves were stacked on top of another up the hill. There are no markers for my grandparents’ graves. “That’s where the barricade was,” I point to an area about 20 feet from the main highway. It was never meant to provoke a police raid, I explain. Further into The Pines, I describe how the Sûreté du Québec deployed along the main highway. They faced a group of Mohawk women and children. Pictures from that morning flash inside my skull. I see faces. Women and children holding hands. Nervous cops in riot gear yelling, screaming, aiming weapons, firing tear gas and flash bombs. I look for scars as we continue our walking tour. The old lacrosse box is gone along with its bullet holes. New boards, without bullet holes, have taken their place. Trees, gouged by gunfire, healed nicely. New bark covered their wounds a long time ago. Trees, it seems, heal faster than we do. “Over there,” I point to an open area a few hundred yards into The Pines, “that’s where I found Mom and Dad.” Mom abandoned her wheelchair to be in The Pines. My father, a disabled veteran, refused to be anywhere else. Most people didn’t understand, then or now, that this wasn’t led or directed by a mysterious “warrior” mastermind. There was no secret plan. It wasn’t about extending a criminal empire, tobacco smuggling, or casinos. Most of the people in camouflage and behind masks were people from down the road, fathers with children, heads of families losing jobs. It was a popular uprising. Even if people knew nothing about the protesters, even if they knew nothing about the deep historical roots of this land dispute, they understood that the mayor of Oka was going to bulldoze the graves of their ancestors. He’s gone now, another casualty of the standoff. PTSD, undiagnosed or treated. It ate at the souls of so many. Suicide. Alcoholism. Drug abuse. Violence. So many lives and so much beauty gone. He’s one of the people I want to honour this weekend. After the Crisis, I didn’t know — or denied — that anything was wrong with me. I functioned, maybe even excelled on the outside. Inside, I was an emotional mess like so many in my community. It took time and a lot of miles to put that behind me. Others couldn’t or never will. “It’s so peaceful here,” one of my friends whispers. It is peaceful. A soft breeze rustles tree tops. A loud crack as a golfer tees off in the distance. A crow caws. I’m at peace here as well. I don’t expect that peace to last. Posted on July 12, 2015, in Defending Territory, Warrior and tagged Dan David, Indigenous armed resistance, Indigenous resistance, Kanesatake, Mohawk, Oka, Oka Crisis, warrior. Bookmark the permalink. Leave a comment.